NEW DELHI: BJP President Amit Shah on Tuesday hit out at the erstwhile UPA governments charging the Congress with not having the courage to identify illegal migrants in Assam, an exercise which was to be conducted as part of the accord signed by former Prime Minister Rajiv Gandhi in 1985, reports PTI. He sought to know whether the Congress wanted to protect the “illegal Bangldeshis” in the eastern state. 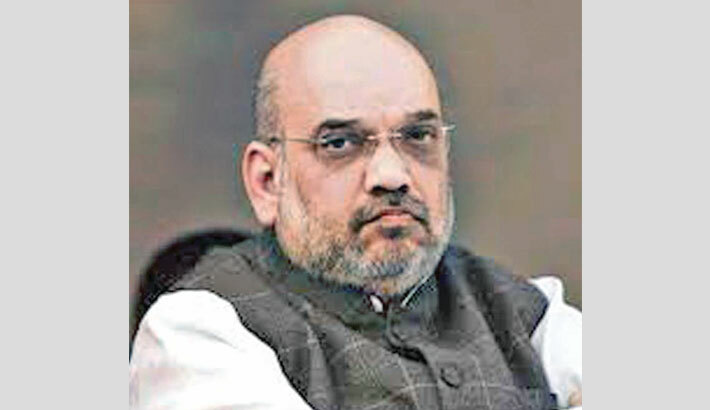 Participating in a discussion on the issue of National Register of Citizens (NRC) in Assam in the Rajya Sabha, Shah said the exercise was conducted under the supervision of the Supreme Court. The Indian Rajya Sabha had taken up the discussion by doing away with the Question Hour, but the debate was disrupted due to vociferous protests by TMC, Congress and some other parties which finally led Chairman M Venkaiah Naidu to adjourn the House for the day. “NRC is being conducted on the SC order. There are 40 lakh people (missing in the list) ... Whom do you want to save? You want to save illegal Bangaldesis,” the BJP chief asked. He noted that the NRC was the spirit of the 1985 Assam Accord which sought to identify illegal migrants into Assam and prepare a list of Indian citizens. Shah said former Prime Minister Rajiv Gandhi had signed the Assam Accord on August 14, 1985 after the movement in the state went out of control leading to death of some protesters. “This was the Congress PM’s initiative. He (Rajiv Gandhi) did not have the courage. We have courage and we are doing it,” he informed the House. Shah’s remarks provoked noisy protests by the Opposition members led by those from the Congress and the TMC. The House was adjourned for about 10 minutes and then for the day.